A Good News For Natural, Herbal and Organic Skin care Products like me :). Auravedic Introducing a Skin polisher which will lighten up our skin with the goodness of Turmeric and Sandal. This Gives a Glowing Skin with Even Skin Tone. I have never used Skin Polishers, and now it's time for me to use skin polishers. I am always prefers Herbal and organic products only, so Auravedic is my new invention on my Hunt. In accordance with its commitment to upholding human rights, Auravedic is committed to not using child labour in the manufacture of any of its products. It is cute sturdy plastic Tub with scrolling type lid. The Skin polish cream smells awesome, the sandal smell is the dominant. I love sandal smell very much :). The texture of the cream is fine creamy and with polymer granules. The colour of the cream is Sandal. I was so excited to try this Skin polisher as it is new to me. I loved the natural ingredients in it very much. I have cleansed my face and then took a little amount of it to apply. This cream gilds on my skin smoothly and the polymer granules works well as a scrubber and massage. I have massaged it well on my face for few minutes and left it for few minutes. When massaging the cream I have felt a mild stinging effect on the skin(It is because of Turmeric in it). But, later it has gone completely :). 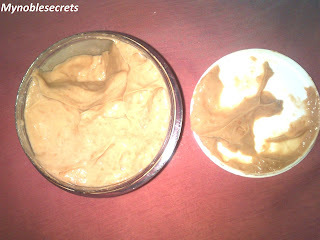 The cream completely absorbed b the skin well. Later, i have cleansed my face using a wet cotton ball, then splashed water. Wow!!!!! My skin sparkling and glowing within one use. It made supple and smooth, and I can't control my fingers to touch my face to feel the smooth. I have seen my skin complexion also improved a little. 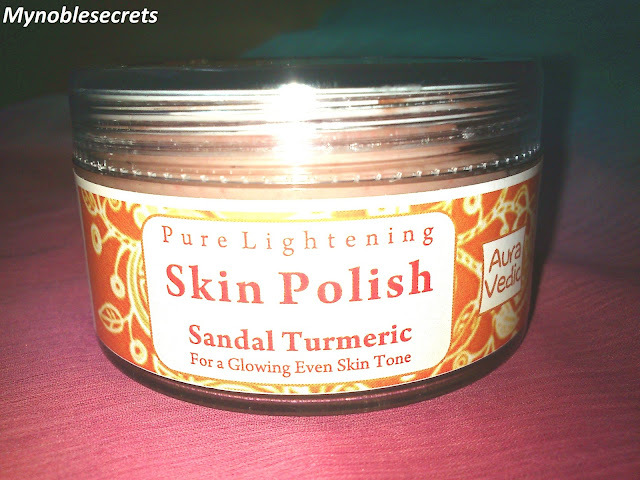 The Red sandal and Turmeric both have anti bacterial and skin brightening properties. 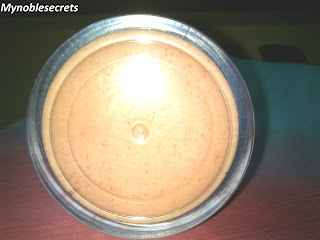 so, There is no doubt on making even tone skin and lighten by using this skin polish. 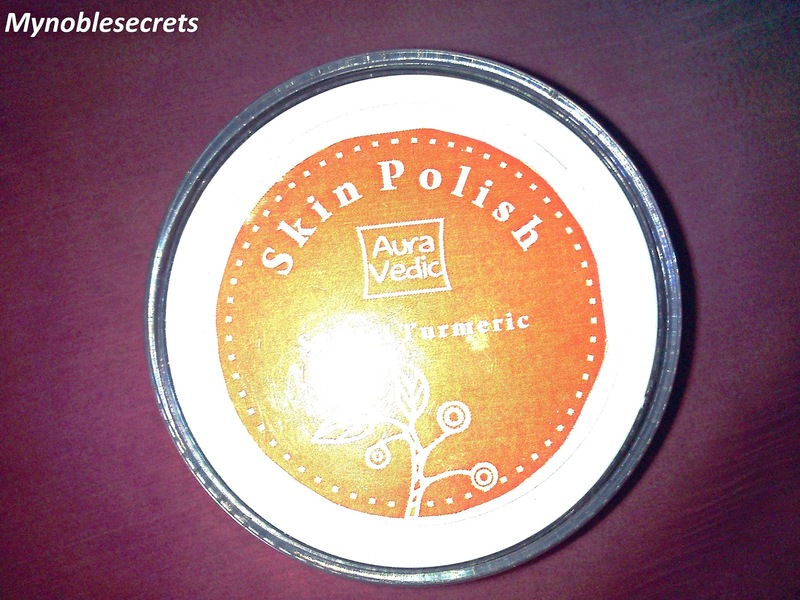 I loved it just and i had a great experience with my 1st Auravedic skin polisher. I had shown my hand swatch pictures about this skin polish use. You can see the glowing and sparkling of the final hand picture. 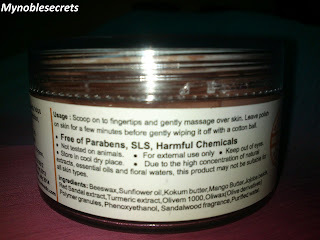 It is awesome and no harm for my skin. I didn't had any breakouts or allergy still. Goodness of Red sandal and Turmeric. Leaves skin smooth and sparkling with glow. Will even out the skin by regular use. Won't dry out the skin, because the Jojoba beads will helps moisture. No breakouts and allergic reactions. My conclusion is it will suitable for all skin type. 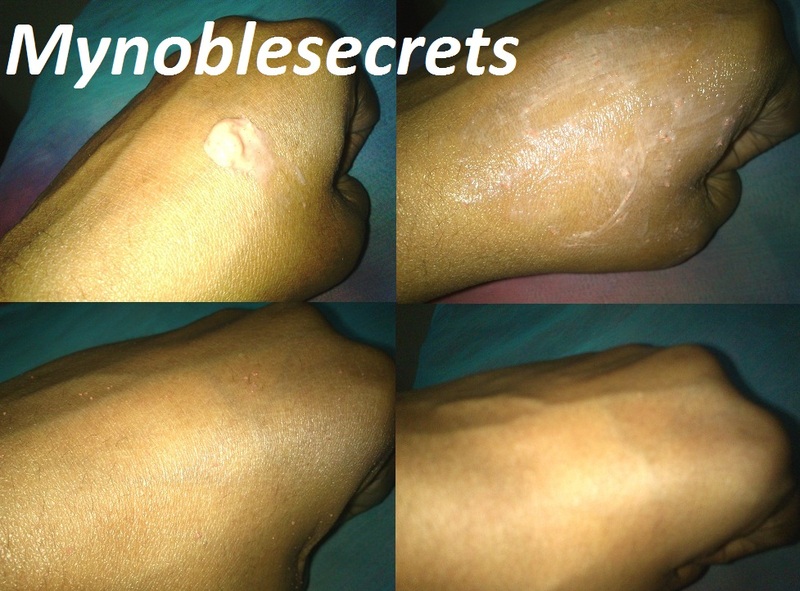 ( Do a patch test before use). The packing if it is a tube form it will be easier and hygienic for all. wow this sounds cool.. but where do i find this brand dear? Clearly written Radha! like to use it now, gonna buy it. Thanks for sharing. Thank you dear...Neisha are you using any skin polisher? 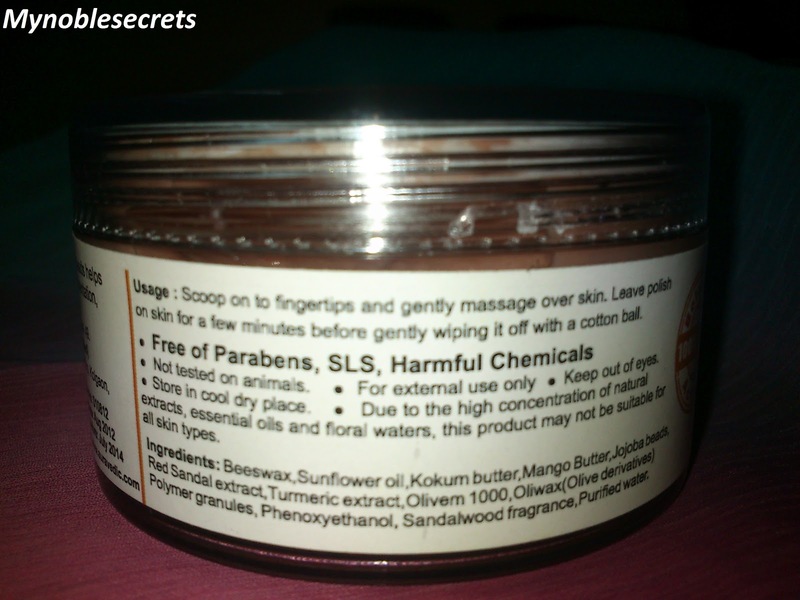 It is good for dry skin also .where I purchase this product. This product is incredibly interesting. People seem to get a lot of benefits out of it. I believe it's always better to get more than what you spend. Hey , actually I can't find any link as order product or add to cart, how to buy product in www.auravedic.com ??? is it suit for men?